Our people are the heart and soul of every landscape design we create, and dedicated to making each project an extraordinary experience from start to finish. A California native and Palo Alto homeowner, John established Verdance in 2002 to bring more beautiful, healthy, well-designed landscapes to the Bay Area and beyond. He is certified by the Association of Professional Landscape Designers (APLD), credentialed as a LEED Green Associate, and a member of the American Society of Landscape Architects (ASLA) and the California Landscape Contractors Association (CLCA). John graduated with distinction from the Landscape Architecture program at UC Berkeley Extension, and holds graduate and undergraduate degrees from Stanford University. Since 2013 he has served on the Advisory Board for Foothill College's Environmental Horticulture and Design department. In addition to being featured in numerous episodes of HGTV's "Landscape Smart," John was a winning designer on HGTV's prestigious "Landscapers' Challenge” and has been featured in local and national media. Kaitlin loves working to bring imaginative, inspiring and functional landscapes to life for Verdance’s clients. While serving as an Agroforestry Peace Corps volunteer in Senegal, West Africa, she was drawn to pursue a career in landscape design as a way to combine her passions for art, science and the outdoor built environment. 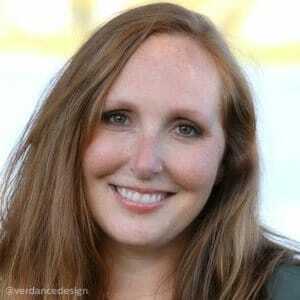 A member of the Association of Professional Landscape Designers (APLD), Kaitlin joined Verdance in 2016 as a Design Intern while enrolled in Foothill College’s Environmental Horticulture and Design program. She earned her undergraduate degree from Bowdoin College in Maine, with a coordinate major in Environmental Studies and Visual Art, and a Biology minor. Verdance contracts with surveyors, contractors, engineers, architects, and/or designers to ensure that every project receives the expertise it deserves. To be considered as a consultant for future projects, please contact us. Whether you're a recent graduate, a seasoned pro, or anyone in between: if you're interested in joining Verdance Landscape Design, please let us know.